The harbour of Lavrion is the third largest port in Attica in passenger traffic after the harbour of Piraeus and Rafina. 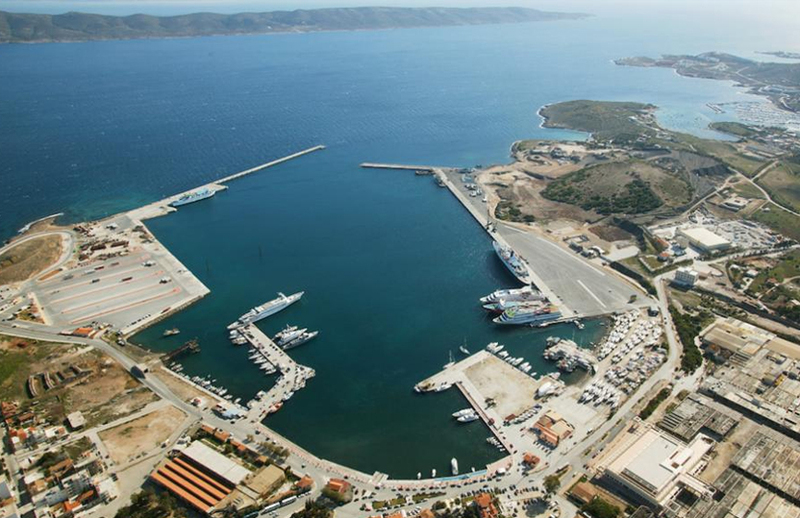 The harbour of Lavrion is situated at a distance of 60 km from the Centre of Athens and 25 km. from the airport "El. Venizelos '. -Buses: buses of KTEL Attikis to Lavrion leave daily from the street at pedion Areos Mavromateon. The starting point is within a 10-minute walk from Victoria station of the line 1 subway station, across the road Cheyden. The services are performed every 30-60 minutes depending on the hour, from 5: 45 in the morning until 9: 30 at night. The journey takes about 2 hours, and the ticket costs 4.90 €. -Taxi: to move from the center of Athens to the port of Lavrion requires approximately 1 hour and 15 minutes, depending on traffic. The cost from Athens to Lavrio is about 40-45€ (without an appointment and suitcases). All add-ons (suitcase, appointments etc) is now integrated intothe taximeter and the proof will be issued should include. -Private access to the harbour of Lavrion it is feasible through Lavriou Avenue (then Attica road in the direction towards Markopoulo). From the southern suburbs access is possible via Varis-koropiouAvenue and Avenue Markopoulou. Daily departures to Mesta in Chios island,Lemnos,Kea,Kythnos,Paros and Naxos. Air Champion24 .com offers ferries to and from Lavrio on all services performed from any port of Greece. You can easily search and choose your ferry route that it serves, easily and instantly. The booking takes place in real time using your credit card or by making a booking with the help of the staff of our Office.